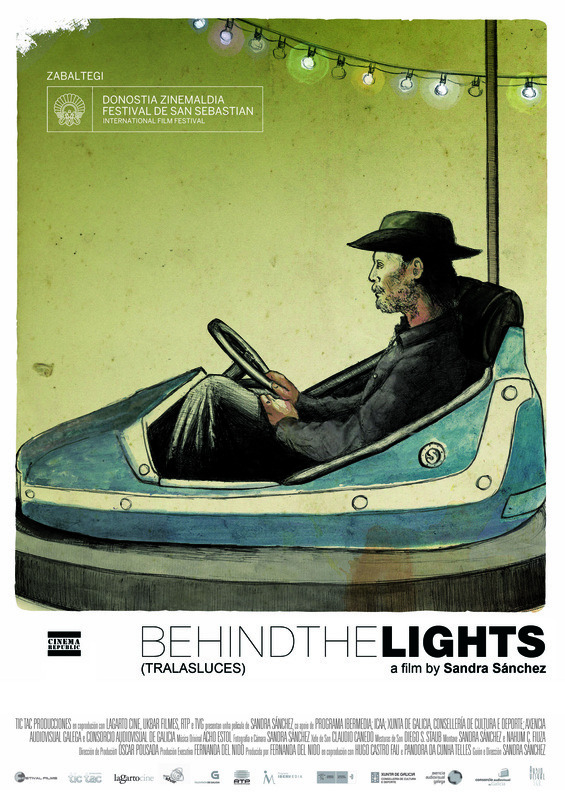 “Behind the lights” is the story of Lourdes´s journey. She is a stallholder that travels together with her family and her bumper car track all over the roads of the north of Spain. Several years ago, the track was her greatest dream. They incurred in many expenses and created a family, but dreams change their way. Lourdes drowns in her own hopes and nobody seems to realize her troubles. While travelling all over the roads, towns and villages, we will discover a world on the verge of extinction, an itinerant life and, above all, a great story of love and loss. Sandra Sánchez studied Media Production and Direction. Stating in 1991, she works both as a director/producer and as movie editor; while holding a great interest in the documentary genre. “Behind the Lights” is her first feature film. She had previously worked in documentaries such as: “Sueños desde el abismo” (2006) and “Aguiño, cómo sobrevivir al Prestige” (2003), which were shown in various international outlets. She has also directed the documentary series “Mojto MAR” (“A lot of Sea”, 2001) and “112 Rescate”, 2002; “Rías Baixas” (fictional series, 2003-2004). All of these projects were for the TVG (Television from Galicia). She also has vast experience as an editor, working in movies such as “Rafael” (2008), “Doentes” (2010), “Vidas Virtuales” (2011), “Isaac” (2007) and in television series such as “Maridos y mujeres” (2005). She is currently creating her second documentary film titled “Matavenero”.